The 1973 UEFA Cup Final was an association football match played over two-legs between Liverpool of England and Borussia Mönchengladbach of West Germany. The first leg was played at Anfield, Liverpool on 10 May 1973 and the second leg was played on 23 May 1973 at the Bökelbergstadion, Mönchengladbach. 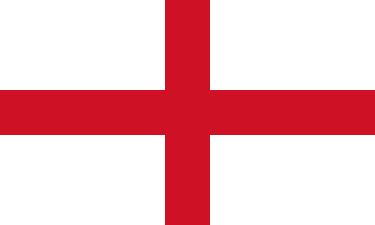 It was the final of the 1972–73 season of Europe's secondary cup competition, the UEFA Cup. Liverpool and Mönchengladbach were both appearing in their first final, although Liverpool had previously reached the final of the European Cup Winners' Cup losing 2–1 to Borussia Dortmund. Each club needed to progress through four rounds to reach the final. Matches were contested over two legs, with a match at each team's home ground. The majority of Liverpool's ties were won by at least two goals, the exception was the semi-final against Tottenham Hotspur, which Liverpool won on the away goals rule. Borussia Mönchengladbach's ties were predominantly one-sided. The West German team won by at least four goals in all four of their ties, a 9–2 aggregate victory over Kaiserslautern represented their biggest margin of victory. Watched by a crowd of 41,169 at Anfield, Liverpool took the lead in the first leg when Kevin Keegan scored in the 21st minute. Another goal by Keegan in the first half, extended Liverpool's lead and a further goal by Larry Lloyd meant Liverpool won the first leg 3–0. Therefore, in the second leg at the Bökelbergstadion, Liverpool had to avoid losing by three clear goals to win the competition. A crowd of 34,905 watched Borussia take the lead in the 29th minute courtesy of a Jupp Heynckes goal, he scored again 11 minutes later to double Borussia's lead. Borussia were unable to find the third goal they needed to take the match into extra-time and won the second leg 2–0. Thus, Liverpool won the final 3–2 on aggregate to win their first European trophy. Liverpool qualified for the UEFA Cup as a result of finishing third in the First Division during the 1971–72 season. Their opponents in the first round were West German team Eintracht Frankfurt. Liverpool won the first leg at their home ground, Anfield, 2–0. The second leg at Frankfurt's home ground the Waldstadion ended in a 0–0 draw, which meant Liverpool progressed to the second round with a 2–0 aggregate victory. Greek team AEK Athens were the opposition. Liverpool won the first leg at Anfield 3–0, a 3–1 victory at AEK's home ground the Nikos Goumas Stadium ensured Liverpool won the tie 6–1 on aggregate. The opposition in the third round were Dynamo Berlin of East Germany. The first leg at Dynamo's home ground the Sportforum ended in a 0–0 draw. The second leg at Anfield was more eventful Liverpool took the lead through Phil Boersma in the first minute and Dynamo equalised six minutes later. Two further goals for Liverpool secured a 3–1 victory in the match and on aggregate. In the quarter-finals Liverpool again faced East German opposition, their opponents were Dynamo Dresden. Liverpool won the first leg 2–0 at Anfield, and they won the second leg 1–0 in East Germany, to beat Dresden 3–0 on aggregate. Reigning champions Tottenham Hotspur were the opposition in the semi-final. Liverpool won an attacking match at Anfield 1–0. The second leg at White Hart Lane was equally eventful. Tottenham took the lead in the second half when Martin Peters scored to give Spurs the lead. Seven minutes Liverpool equalised when Steve Heighway scored this levelled the match and gave Liverpool a 2–1 lead on aggregate. Tottenham went 2–1 up when Peters scored again, this levelled the aggregate score at 2–2, but Liverpool had scored an away goal, and would therefore progress to the next round as a result. Borussia qualified for the UEFA Cup courtesy of a third-place finish in the 1971–72 Fußball-Bundesliga. 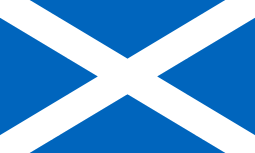 The opposition in the first round were Scottish side Aberdeen. The first leg was held at Aberdeen's home ground Pittodrie, with Borussia winning 3–2. The second leg at Borussia's home ground the Bökelbergstadion was won 6–3 by the West German side, this meant they qualified for the second round courtesy of a 9–5 aggregate victory. Danish side Hvidovre were the opposition in the second round. 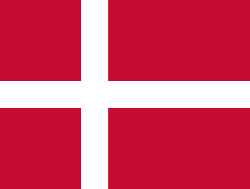 A 3–0 victory in West Germany was followed by a 3–1 victory in Denmark to secure a 6–1 aggregate victory for Borussia. Fellow West German side FC Köln were the opposition in the third round. The first leg at Köln's home ground the Müngersdorfer Stadion ended in a 0–0 draw. Borussia easily won the second leg at their home ground 5–0 to win the tie by the same score on aggregate. They were again drawn against West German opposition in the quarter-finals, the team in this instance was Kaiserslautern. The first leg held at Kaiserlautern's home ground the Fritz-Walter-Stadion was won 2–1 by Borussia and a 7–1 victory in the second leg at their home ground ensured they progressed to the semi-finals courtesy of a 9–2 aggregate victory. Dutch team Twente were Borussia's opposition in the semi-finals. The first leg was held in West Germany and Borussia won 3–0 to put themselves in a good position to reach the final going into the second leg in the Netherlands. Borussia won the second leg 2–1 to win the tie 5–1 on aggregate and progress to their first European final. Liverpool were appearing in their second European final. They had previously lost 2–1 in the final of the 1965–66 European Cup Winners' Cup against West German team Borussia Dortmund. Borussia Mönchengladbach were appearing in their first European final, they had appeared in European competition but the furthest they had progressed was the second round of the 1970–71 European Cup and 1971–72 European Cup when they were beat by English team Everton and Internazionale of Italy respectively. Liverpool had won the 1972–73 Football League, a 2–0 victory over Leeds United ensured they became champions. Their league success meant that whatever the result they would be competing in the European Cup the following season. As a result of their league success, Liverpool were looking to become the first English team to win a European trophy in the same year as winning the league. Borussia Mönchengladbach had finished fifth in the 1972–73 Fußball-Bundesliga, however they won the 1972–73 DFB-Pokal, the German domestic cup competition. This meant they would be participating in the UEFA Cup Winners' Cup in the following season. 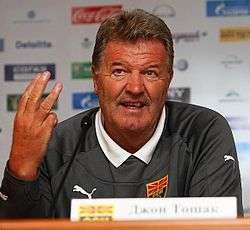 John Toshack, whose introduction in the replayed first leg contributed to Liverpool's victory. Liverpool extended their lead in the 60th minute when defender Larry Lloyd scored. 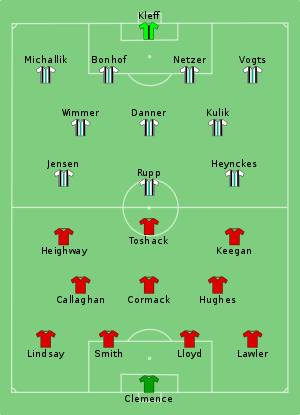 Toshack won Liverpool a corner and with Borussia defender Netzer focusing on the striker, Lloyd was left unmarked to head in Keegan's corner and extend the English club's lead to 3–0. Despite Liverpool's goals Borussia were presented with an opportunity to get back into the tie when they were awarded a penalty in the 65th minute. Steve Heighway's tackle on Henning Jensen was judged to be a foul by Austrian referee Linemayr. Jupp Heynckes took the penalty for the West German team hitting it to Liverpool goalkeeper Ray Clemence's right, but Clemence dived the right way and saved the penalty, preventing Borussia from scoring an away goal. No further goals were scored and the referee blew for full-time with the final score 3–0 to Liverpool. Liverpool's 3–0 victory in the first leg meant that Borussia needed to score three goals to force the tie into extra-time. Liverpool employed a "holding action" against the "attacking Germans" in order to protect their three-goal lead. Another bout of torrential rain affected the second leg, as a result the pitch was slippery, and with the onus on Borussia to attack this caused problems for the Liverpool defence. Knowing the task in hand Borussia bombarded Liverpool in the first half, the architect was midfielder Günter Netzer whose passing was instrumental to Borussia's play. Borussia's attacking brought their first goal in the 30th minute. Jupp Heynckes who had missed the penalty for Borussia in the first leg, scored from six yards after Bernd Rupp passed to him from the right hand side of the pitch. 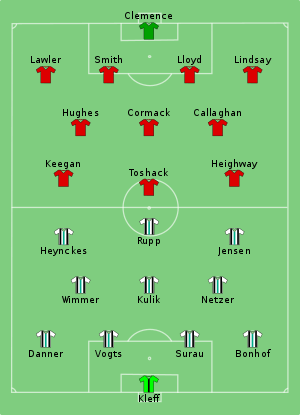 Heynckes extended the West German side's lead in the 39th minute when he curled the ball into the Liverpool goal from left of the Liverpool penalty area. ↑ Jackson, Stuart. "Season 1971–72". Rec. Sport. Soccer Statistics Foundation (RSSSF). Archived from the original on 1 June 2010. Retrieved 7 December 2011. 1 2 Ponting (1992) p. 80. 1 2 Ponting (1992) p. 81. ↑ Ponting (1992) p. 82. 1 2 Kelly (1988) p. 102. ↑ "Archive 1971/1972". Deutscher Fussball Bund (DFB). 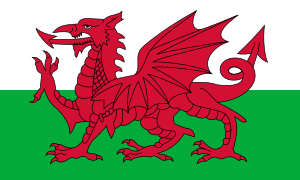 6 September 2000. Retrieved 29 November 2011. 1 2 3 "Matches". Union of European Football Associations (UEFA). 12 August 2011. Retrieved 5 December 2011. 1 2 3 4 Ross, James M. (31 July 2008). "UEFA Cup 1972–73". Rec. Sport. Soccer Statistics Foundation (RSSSF). Archived from the original on 27 November 2011. Retrieved 5 December 2011. ↑ "1965/66: Stan the man for Dortmund". Union of European Football Associations (UEFA). 1 June 1966. Retrieved 5 December 2011. ↑ "History". Union of European Football Associations (UEFA). Retrieved 5 December 2011. ↑ Naskrent, Gwidon (1 April 2001). "Germany 1972/73". Rec. Sport. Soccer Statistics Foundation (RSSSF). Retrieved 6 December 2011. ↑ Werner, Andreas (1 February 2001). "(West) Germany DFB Cup History 1970–80". Rec. Sport. Soccer Statistics Foundation (RSSSF). Retrieved 6 December 2011. 1 2 Ponting (1992) p. 74. 1 2 3 Kelly (1988) p. 105. 1 2 3 Horridge, Dave (11 May 1973). "Liverpool on Glory Trail". Daily Mirror. 1 2 Liversedge (1991) p. 178. 1 2 3 4 5 Ponting (1992) p. 84. ↑ "Liverpool 3–0 Borussia Monchengladbach". LFC History. Retrieved 4 December 2011. ↑ Nawrat; Hutchings (1995) p. 114. ↑ "Liverpool survive test of character". The Times. London. 24 May 1973. p. 10. ↑ "Borussia Monchengladbach 2–0 Liverpool". LFC History. Retrieved 7 December 2011.